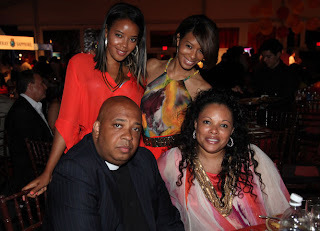 Rev Run and his family was at the 12th annual Art for Life Benefit at in the Hampton's this week end. Also at the Art For Life Benefit was Jhud, here she was on stage performing. 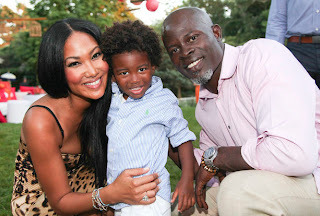 Of course Kimora was at the Art for Life Benefit, with her husband and son Kenzo, he is to cute, Djimon must have some strong genes, if it wasn't for the hair I would not know this little boy was half Asian. This an old school picture. 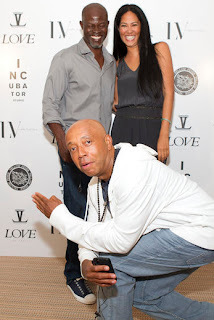 Russell Simmons posses with his ex wife and her new husband at the Art for Life reception this weekend. Very flexible Russ, seems like they are just one big happy fam, that's whats up. 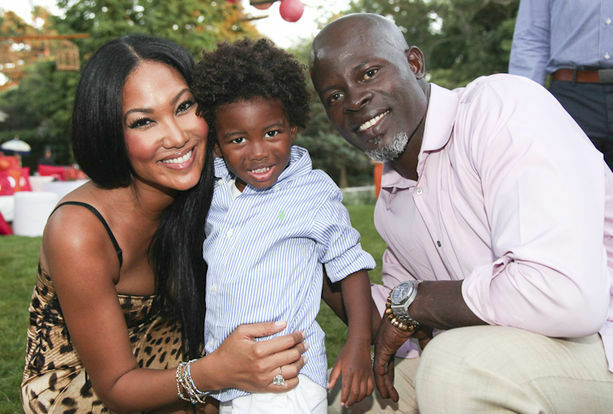 how can he be 1/2 asian when his dad is black & his mom is 1/2 black & 1/2 asian. that would make him 1/4 asian and 3/4 black.